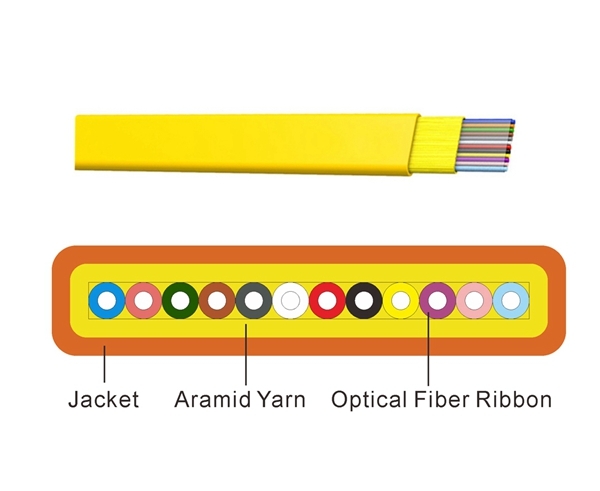 FlyingFiber’s indoor ribbon cable is available in 12 – 48 fibers and feature 12 fiber bare ribbons inside a central core, surrounded by dielectric strength members and an overall plenum rated jacket. Used in data center plug and play applications. For extreme applications, and installations requiring maximum protection, these cables are available in an interlocked armored, plenum rated design. 2). 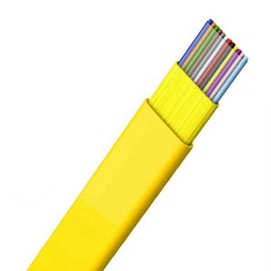 High-integrated fiber ribbon design.